Hipster Couple Is Hugging, Looking Away And Smiling While Standing Outdoor Playing Guitar Against Brick Wall, Dating Spent Great Time Together. Banco De Imagens Royalty Free, Ilustrações, Imagens E Banco De Imagens.. Image 77500997. 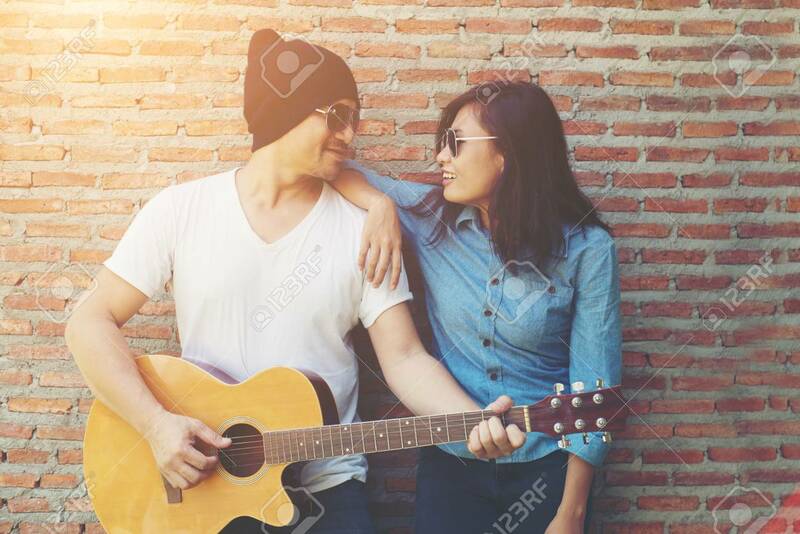 Imagens - Hipster couple is hugging, looking away and smiling while standing outdoor playing guitar against brick wall, Dating spent great time together. Hipster couple is hugging, looking away and smiling while standing outdoor playing guitar against brick wall, Dating spent great time together.